Roughly chop the coriander and parsley and combine with the remaining ingredients. Brush the ostrich fillet with olive oil and then an even layer of the spice rub. Grill on a hot griddle pan until medium doneness or to your liking. Allow the meat to rest for 5 minute before cutting thick slices. 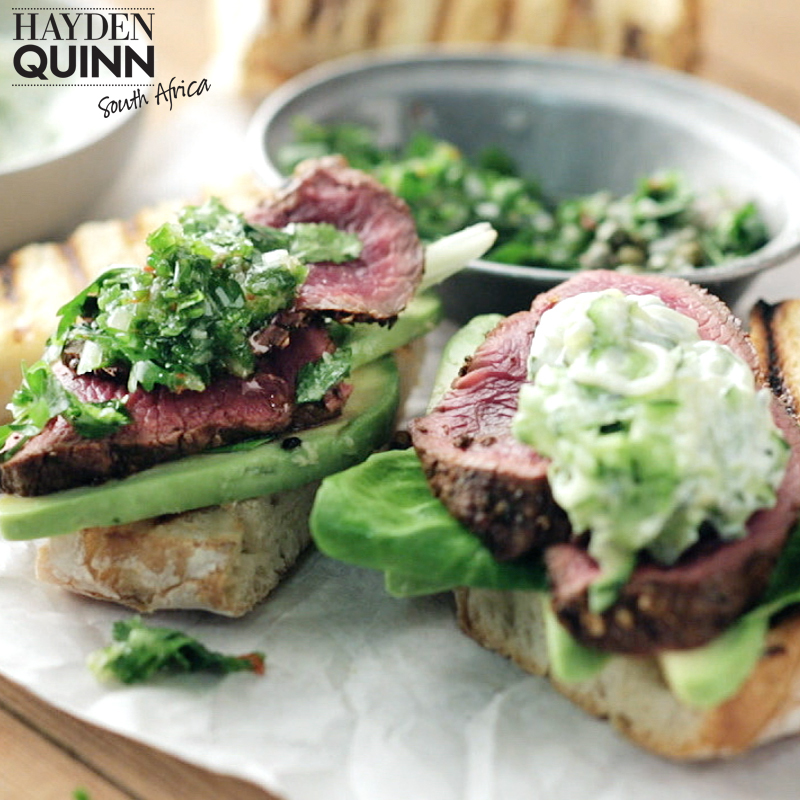 Assemble the steak sandwich starting with a layer of avocado slices, followed by the butter lettuce leaves, thick ostrich steak slices and finishing with a choice of tzatziki or Chimichurri.